As humanity gobbles up natural resources to satisfy the demands of economic expansion, a growing number of enterprising corporations are eyeing outer space as the next source of valuable commodities. Asteroid mining is making the leap from science fiction novels and into corporate boardrooms as new technologies bring the idea within reach. We’ve already landed a probe on a comet, satisfying the first requirement for potential mining activities. Figuring out how to extract potential resources and return them to Earth, well, that’s another question. 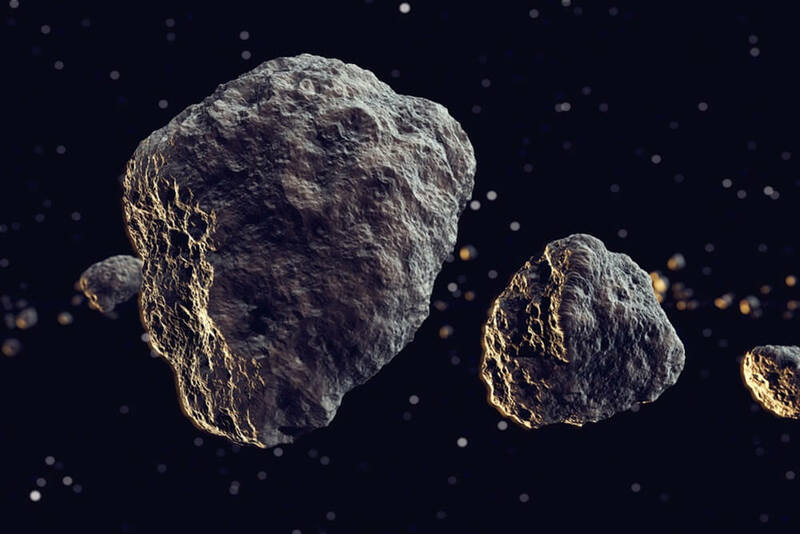 Asteroid mining ambitions received a boost last week when Luxembourg announced that it would commit $223 million to developing and carrying out the first asteroid-mining expedition. The tiny European country has already made steps toward becoming a player in the space race, but its latest proposal solidifies a commitment to pursuing cosmic resource extraction operations. “Luxembourg’s aims [sic] is to be in the top 10 space faring nations in the world,” said deputy prime minister Etienne Schneider, speaking to Reuters. Luxembourg is already developing legislation aimed at protecting the rights of future space miners — the United States has done the same — and has partnered with Deep Space Industries, an asteroid-mining company based in the U.S., to produce their Prospector-X satellite, an experimental nano-spacecraft that will test key cosmic mining technologies. They say that they could potentially begin scouting operations within the next five years. Asteroids could provide new sources for the rare metals used in smartphones and computer chips. While these elements are scant on Earth, there are countless resource-rich asteroids scattered throughout our solar system that could serve as potential sources. Asteroids are also sought after for their water content — a necessity for lengthy human missions, and a potential source of fuel for spacecraft. Today, the big challenge is developing a means to ship astro-mined resources back to Earth. Towing asteroids closer to Earth using rockets, or deploying small robots to mine resources and ship them back to Earth piecemeal are two proposed solutions for the shipping problem. But both would require significant amounts of fuel or machinery, which increases payloads and costs. Asteroid + spaceship = astership? Another company has proposed a simpler plan: Instead of using spacecraft to move the asteroid, California-based Made in Space wants to turn the asteroid into a spacecraft. The concept recently received funding through NASA’s Innovative Advanced Concepts program. The company, which has supplied 3D printers to the International Space Station, proposes sending small “seed craft” to asteroids. Using resources from the asteroid, the craft would 3D print a propulsion system and rudimentary guidance mechanisms. Once completed, the asteroid would simply “drive” itself back to Earth, where it could be harvested for resources. Made in Space has laid out a Steampunk-esque plan to create what amounts to an analog computer built of gears, rods, pulleys and flywheels to get an asteroid back home. 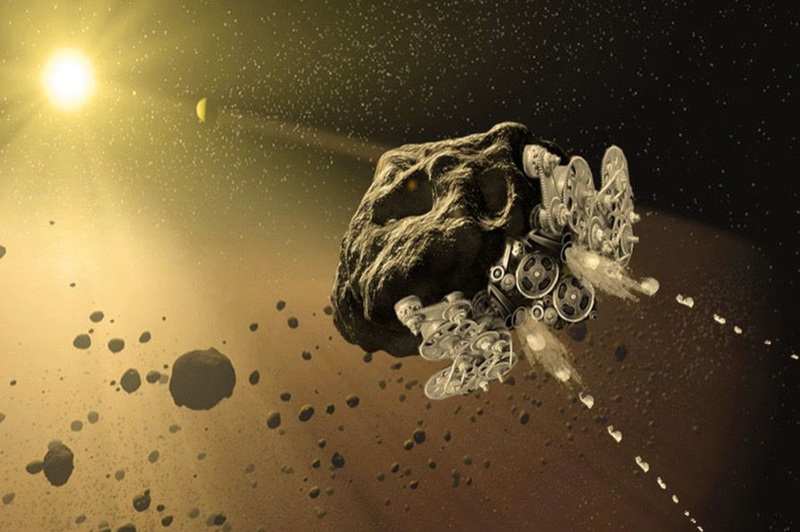 Electronics and combustion systems are too complex to manufacture on-site, so any devices built on the asteroid would have to be 3D printed with native resources, and mechanical in nature. A giant catapult that flings portions of the asteroid backwards would serve as the propulsion system. In concordance with Newton’s Third Law, chucking material off the asteroid would propel the spacecraft in the opposite direction toward Earth. Similar systems would be used to steer the asteroid. If all goes well, the asteroid would make its way back to Earth under its own power, where it could be easily mined for resources. However, the plan is still in its early stages and has a long road ahead, as Space.com’s Mike Wall writes. This article originally appeared at Discover Magazine.